It is set to be a Christmas to remember at Birmingham's Symphony Hall with a host of superb seasonal shows to put everyone in a festive frame of mind. The City of Birmingham Symphony Orchestra, conducted by Richard Balcombe, launch the celebrations with White Christmas on December 9. There will be the chance to sing along with top West End vocalists Graham Bickley, Mary Carewe, Emma Kershaw and Maurice Clarke as they recall past Christmas hits like Frosty the Snowman, Santa Baby and Last Christmas. 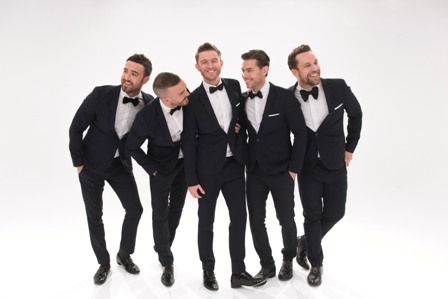 The next day, December 10, The Overtones will mark the most wonderful time of the year with a cracker of a concert that features classics such as White Christmas, Santa Claus Is Coming To Town and Let It Snow. Since their 2010 breakthrough debut album, Good Ol' Fashioned Love, the group has established a reputation as an act that consistently delivers exquisitely crafted vocal harmonies. They have sold over a million records and had five top five albums. Many people contend that there is no better way to get into the festive spirit than by attending a John Rutter Christmas celebration concert – and you can do just that at Symphony Hall on December 12. John will conduct the Royal Philharmonic Orchestra, with special appearances by soprano Elin Manahan Thomas, mezzo-soprano Melanie Marshall and the choristers of St Alban's Cathedral. Fans of vocal music in its purest form should head to Symphony Hall on December 13 for a Renaissance Christmas with the acclaimed Tallis Scholars. The ensemble brings fresh interpretations to music by both contemporary and past composers, such as Pärt and Sheppard. The repertoire includes the seven-voice Christmas Missa Puer Natus. The CBSO returns to Symphony Hall on December 16, 18 and 19 for Festive Favourites with guest presenter Jessica Hynes, known for her TV appearances on Twenty Twelve, W1A and The Royle Family. 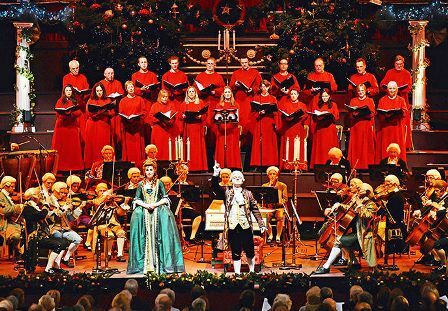 The CBSO Chorus will lead the audience in a singalong of seasonal music, new and old. There are more Christmas favourites, and another special guest, on December 17. Christmas Classics features Kevin Whately (Lewis) presenting a series of seasonal readings, with music from the City of Birmingham Choir, the London Concert Orchestra and trumpeters from the Band of the Queen's Division. A complete afternoon of singing along to carols takes place at 2.30pm on December 19. Jonathan Cohen and Louise Dearman, with the London Concert Orchestra and Chorus, will lead the massed Symphony Hall choir in the stalls! Birmingham music legend Roy Wood wishes it could be Christmas every day because he could then bring his festive show to Symphony Hall more often. 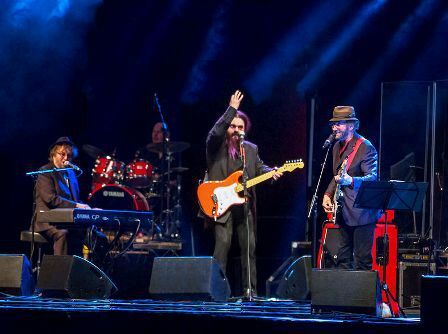 This year's 'Rockmas' is on December 20 and features special guests Chas & Dave, Andy Fairweather Low and the Low Riders, Enigma Strings and comedian Kev Orkian. Another musical superstar visits Symphony Hall on December 22. Katherine Jenkins is joined by the London Concert Orchestra, conducted by Anthony Inglis, for an evening of the mezzo-soprano's favourite songs and music. 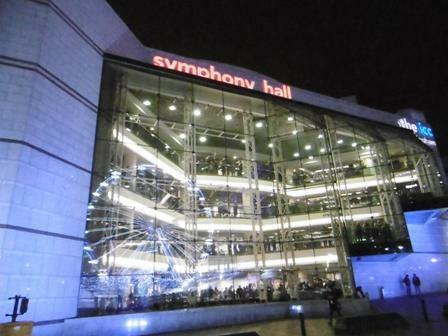 As Christmas Day approaches there are two more opportunities to celebrate at Symphony Hall. On December 23 guest singers Laura Tebbutt and Tim Howar star in White Christmas, a nostalgic show of all-time favourites with Capital Voices and the London Concert Orchestra. On Christmas Eve afternoon Carols by Candlelight will feature sacred music by the Canzonetta Choir, the Mozart Festival Orchestra in full period costume and soprano Keri Fuge. Whichever concert you choose, merry pre-Christmas entertainment is assured.